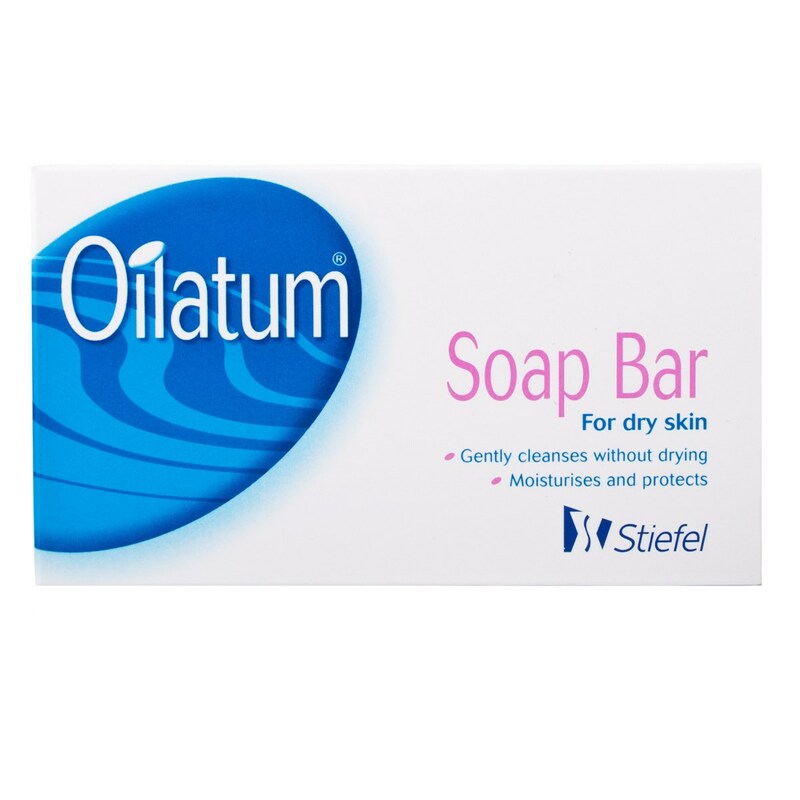 Oilatum soap bar is suitable for dry skin, replacing the skin's oily protective layer washed away by ordinary soap. Oilatum soap bar is mild enough for every day use and its gentleness makes it an excellent cleanser for babies and children. - Can be used every day. Liquid Paraffin BP 7.5%. Other ingredients : Soap base, EDTA solution, E110, E122, fragrance. Using a little warm water, massage into the skin. Rinse off and pat dry. Thank you for your interest in Oilatum Soap. Enter your email and we'll contact you as soon as it's available again.